Well the results are in from the 123rd Gundagai Agricultural Show. This is the first time I have entered this show, last year I was just an observer. I entered produce into Section S - Jams and Jellies. I entered Class 10 - Peach Jam, any flavour. I put in two jars into this class mostly because I have a peach glut to deal with. 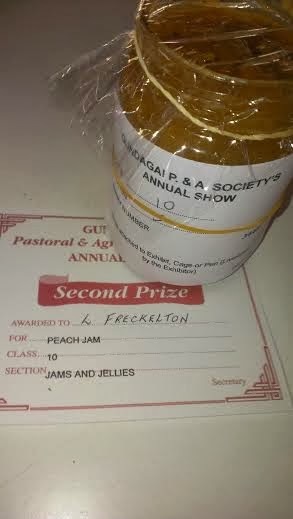 My Peppered peach and Rosemary Jam was awarded Second Prize. Me of little faith - I though this unusual flavour combo might be a little too odd for the Judges! I also entered Class 13 - Tomato Jam, any flavour. 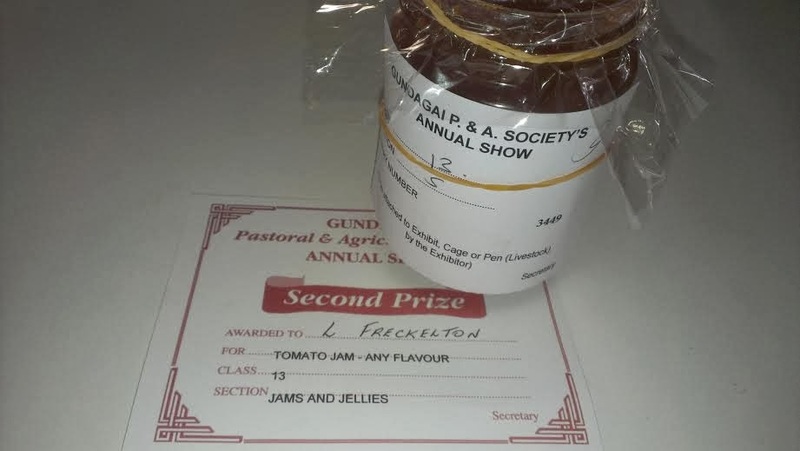 I submitted a jar of the Tomato and Chilli Jam I got a second with last year at the Adelong Show and also got a Second Prize.Yay! I don't know about you but the moment that the temperature goes into the mid to high 30s my zucchinis fail to fertilize. Perhaps the bees all die or at least are too hot to be bothered collecting pollen. And I had also hoped to submit entries into Class 28 - A Bunch of Chillies. My chilli plants have been some of the toughest survivors of the 4 week long heat waves we suffered this year, I was feeling confident, but the fruit proved less resilient. 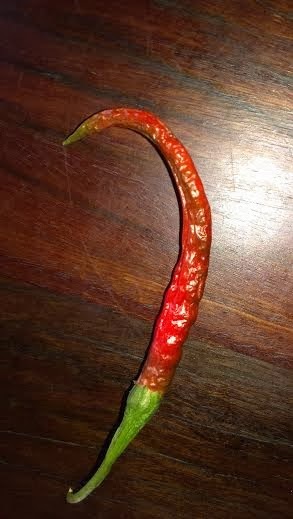 Most chillies simultaneously dried and turned red on the bush. It's been a tough summer, still despite these failures we pick enough to keep us fed - we hardly buy any vegetables at all. Today there is the hope that the summer is over. Today we have had our first rain for a good while and it is cool and misty. Perhaps the cooler weather will mean I have some vegetable produce in a fit state for the Palindrome (Tumut) and Adelong Shows. May your vegetables be fit for submission and my your jars be full of jam. Oh dear, those courgettes look so sad. Well done on the jam though - result! Oh, what a pity the zukes and chillies weren't at their prime. I also had a few like that in our hottest period, and I'm not sure if they were because of poor pollination or the plant just knowing in the heat that producing fruit would be too stressful, so the fruit didn't mature. The jams result is excellent though. Congratulations! Now where did my comment go??? Okay, I'll try again. Anyway, well done, you! I've been meaning to comment on the fabulous colour of your peach jam and I can imagine those flavours would work well together. The folk of Gundagai are obviously a progressive bunch and recognise your innovativeness. My garden has been very sad. I’ve been trying to keep the water up (to veggies only) and it has saved some things but compared to this time last year, the pickings have been meagre. Thanks again for your thoughts during the recent fires. The open-cut mine is still burning and the smoke and carbon-monoxide emissions have been very worrying for local communities. Today is much better but yesterday was just awful! 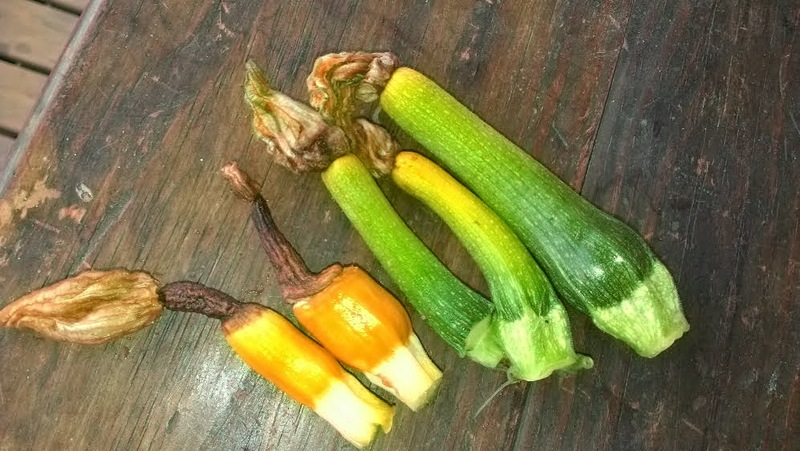 I expect it has not been a great year for zucchini as I had to pull mine out in Feb as well. They were not pollinating since I chopped all my blue salvia down so perhaps my thoughts on having blue flowers in with the vegetables is justified after all? Nice work on the second status you must be very proud. Nice Post…. I Like Your Post….